Find Your Guru. 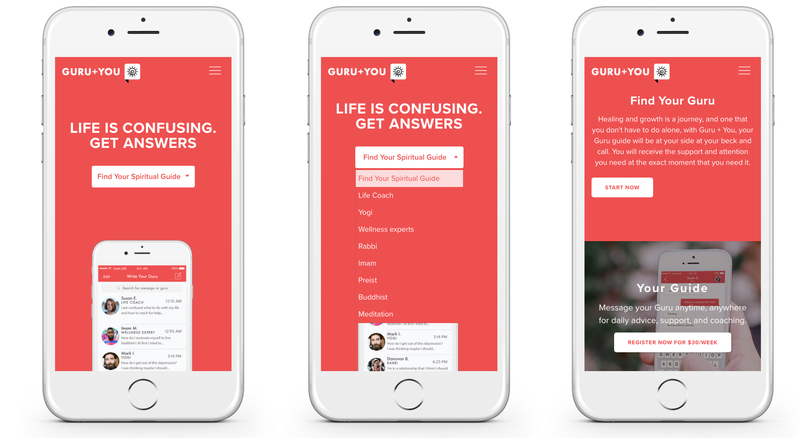 Healing and growth is a journey, and one that you don’t have to do alone, with Guru + You, your Guru guide will be at your side at your beck and call. You will receive the support and attention you need at the exact moment that you need it. We designed the Guru + You platform with a mobile first approach which resulted in it being optimized across devices of any size, while still keeping with the GURU brand vision in captivating way. The website was built with WordPress and WooCommerce, a perfect combination of two well-known platforms and the Printful integration allowing the GURU’S to easily manage the website content and merchandise. 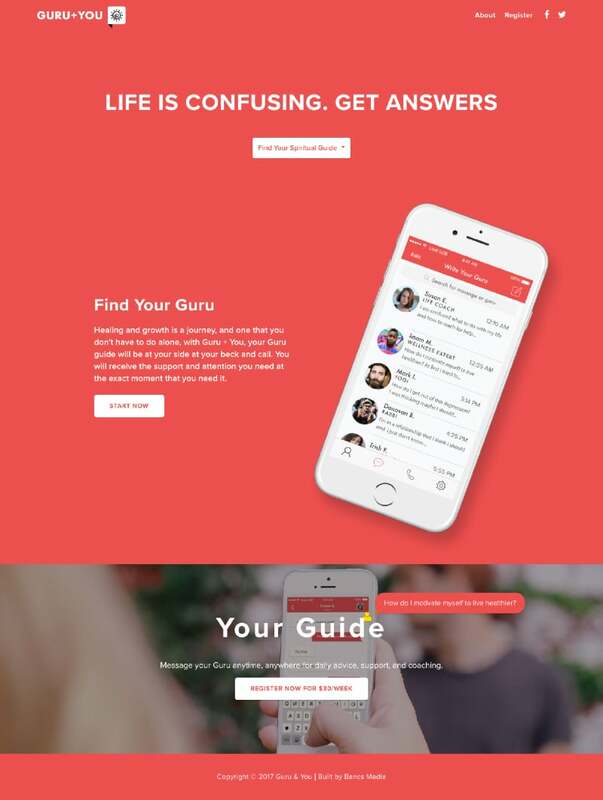 Our exciting and informative layout showcases who GURU + YOU is and how people could get the help they need through the platform and APP. We designed the website with a mobile first approach which resulted in it being optimized across devices of any size while still keeping the GURU + YOU brand visual experience and in captivating way presenting what this innovative startup is offering to clients.